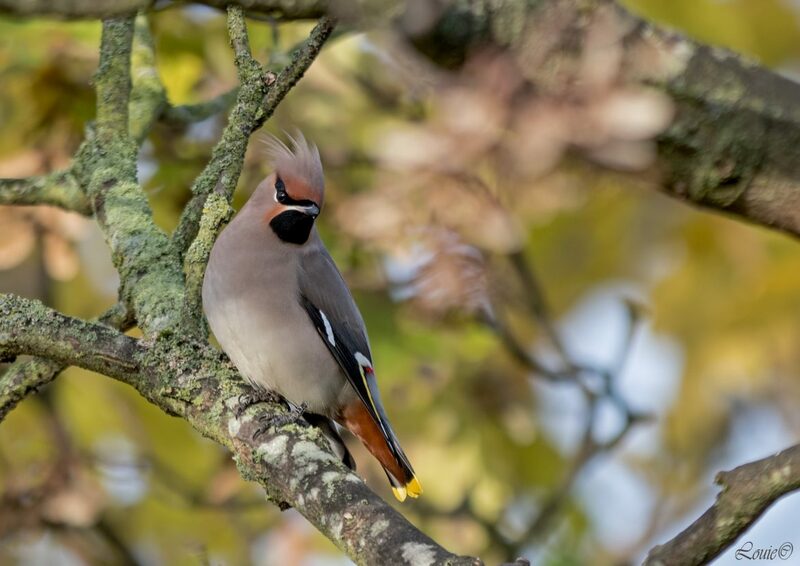 These wonderfully coloured stunning birds flew into my patch for once and I managed to get a few images of them before they moved on, it was a pleasure to have shared the day with them. 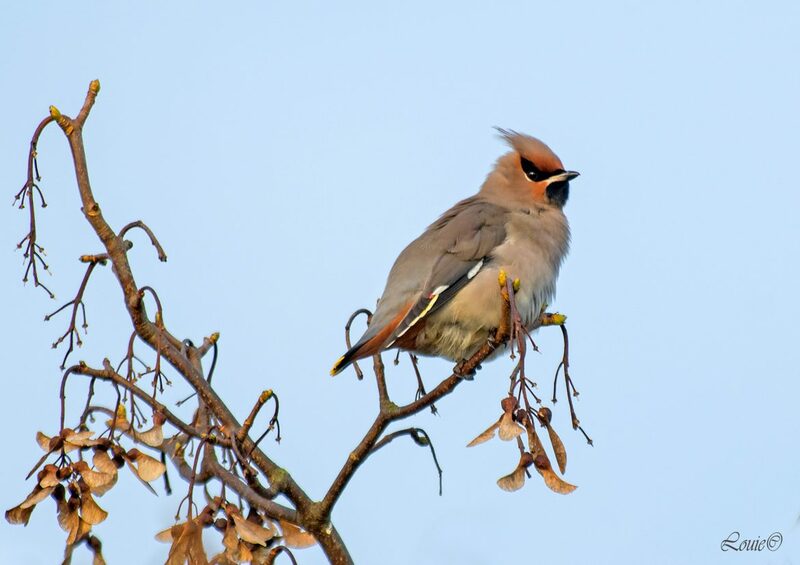 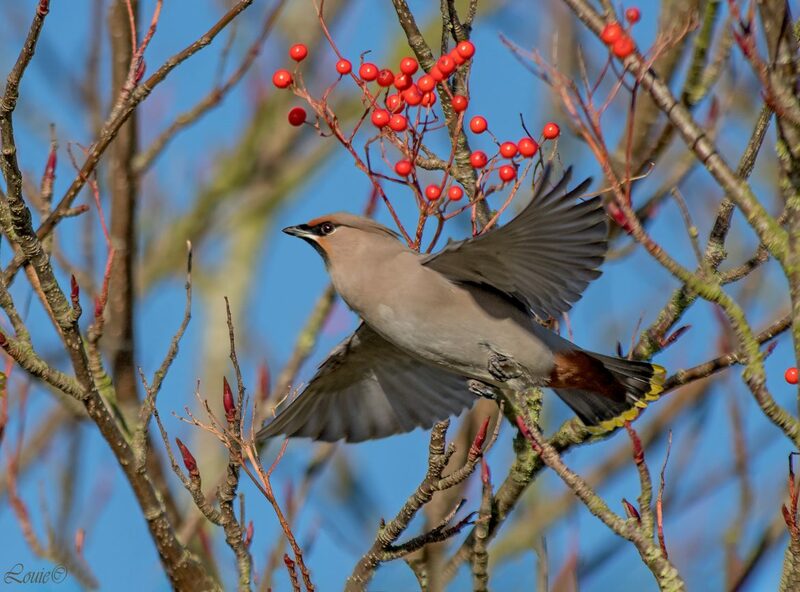 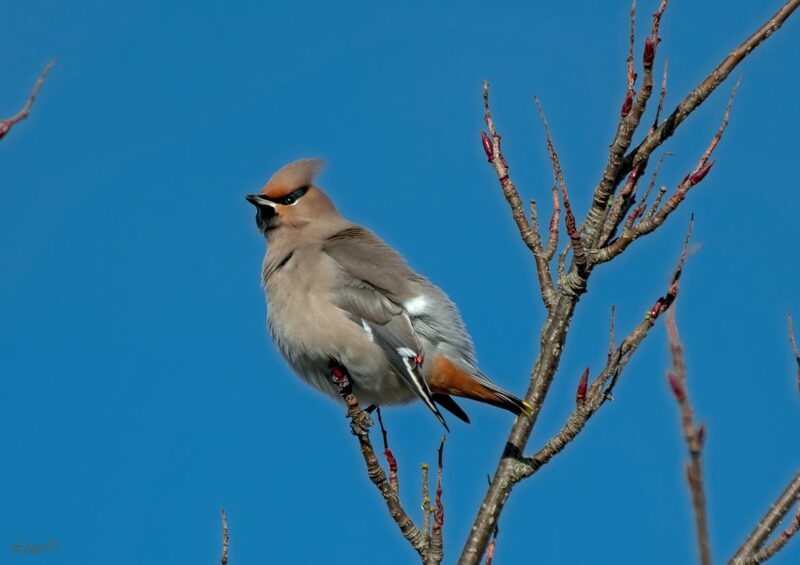 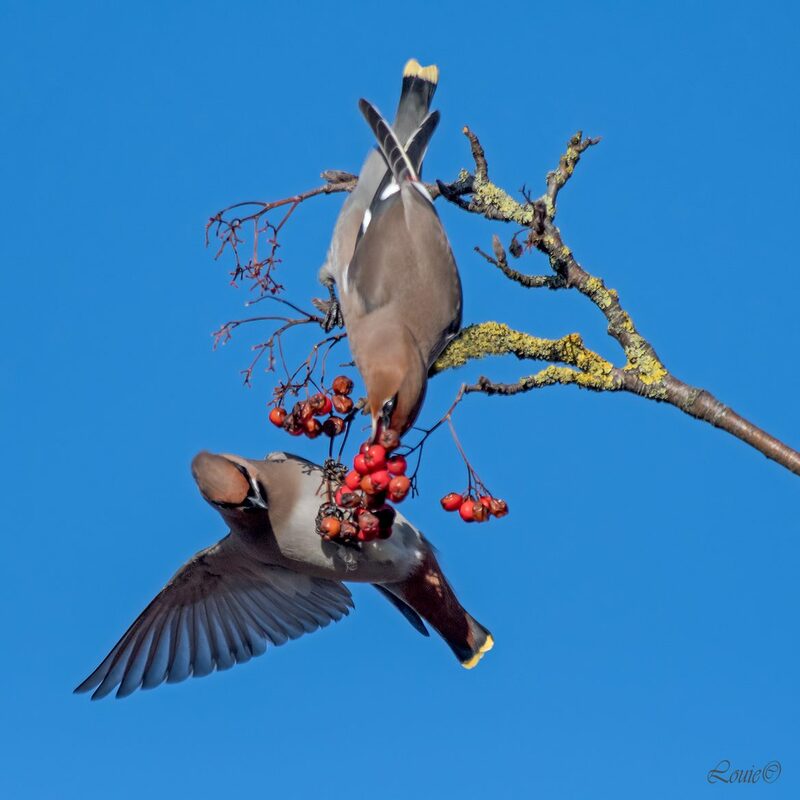 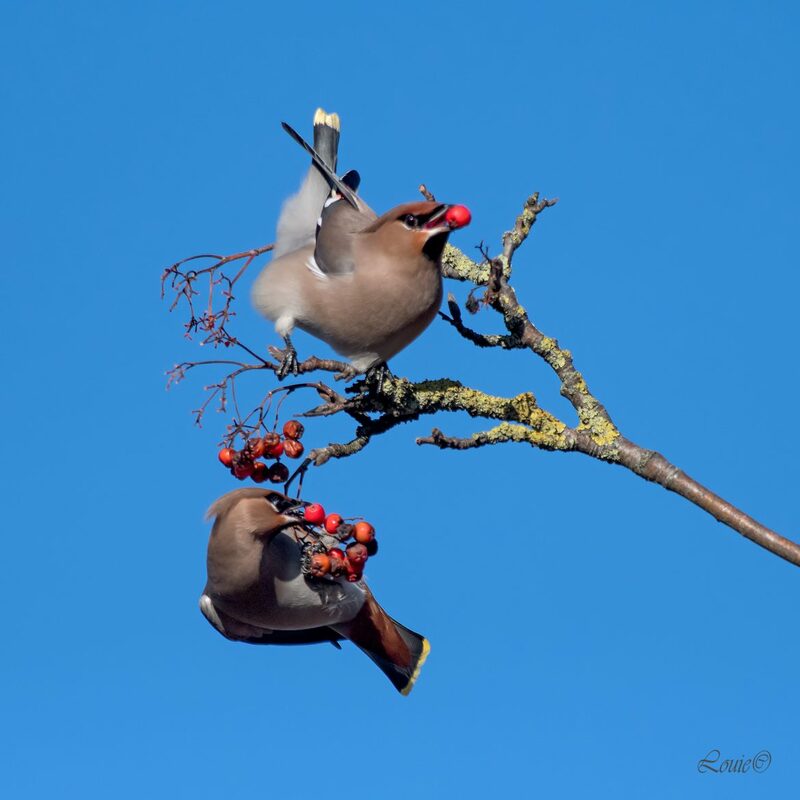 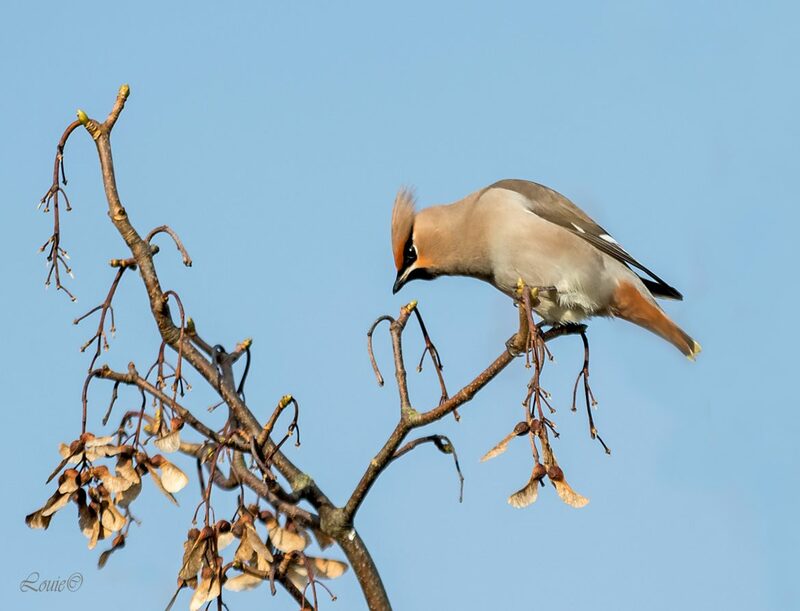 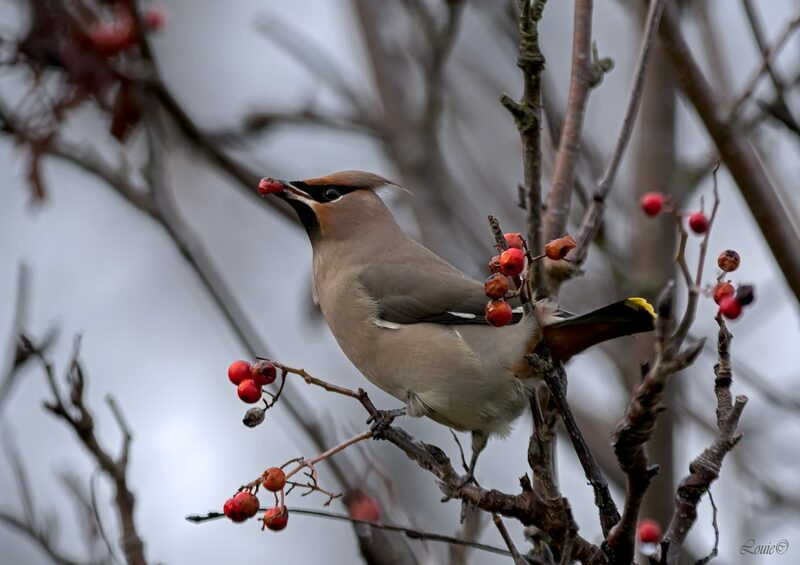 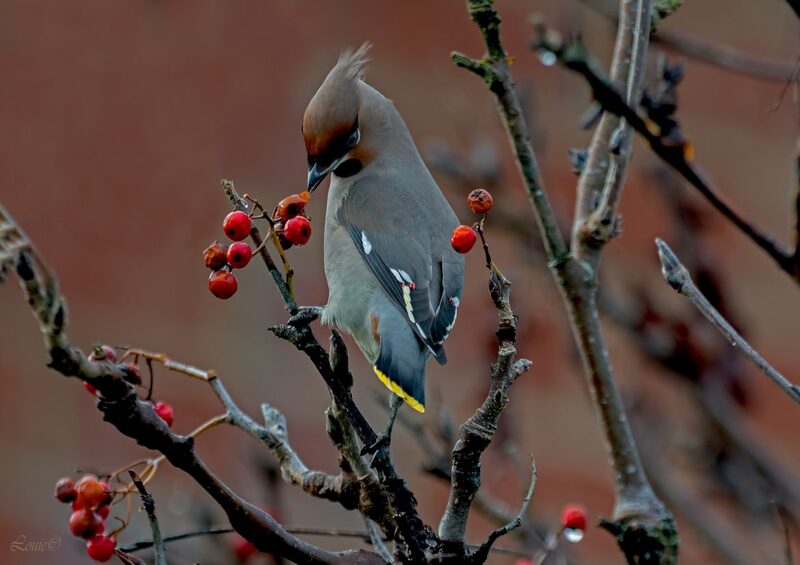 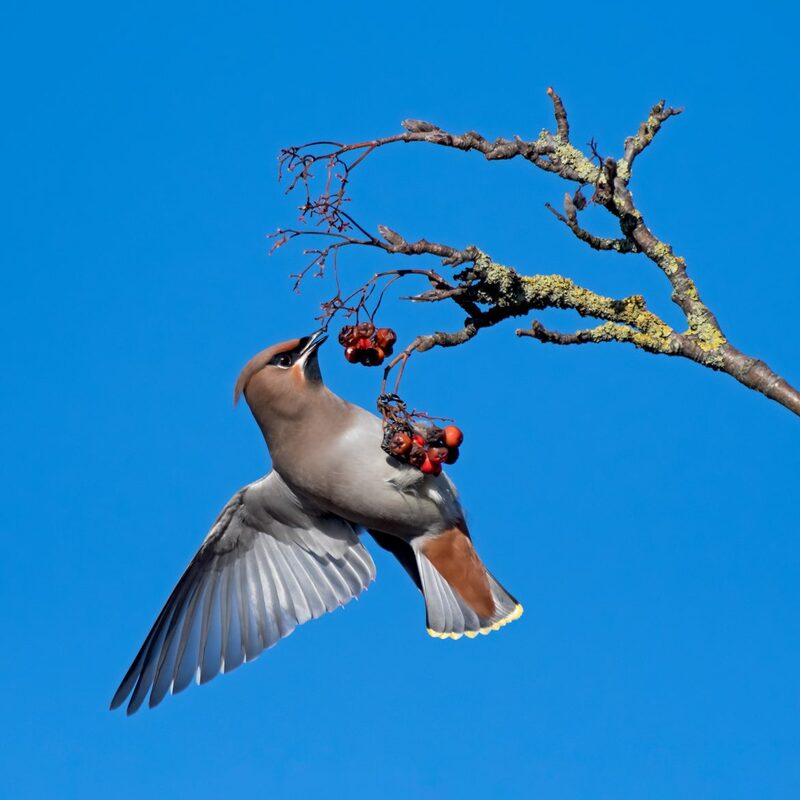 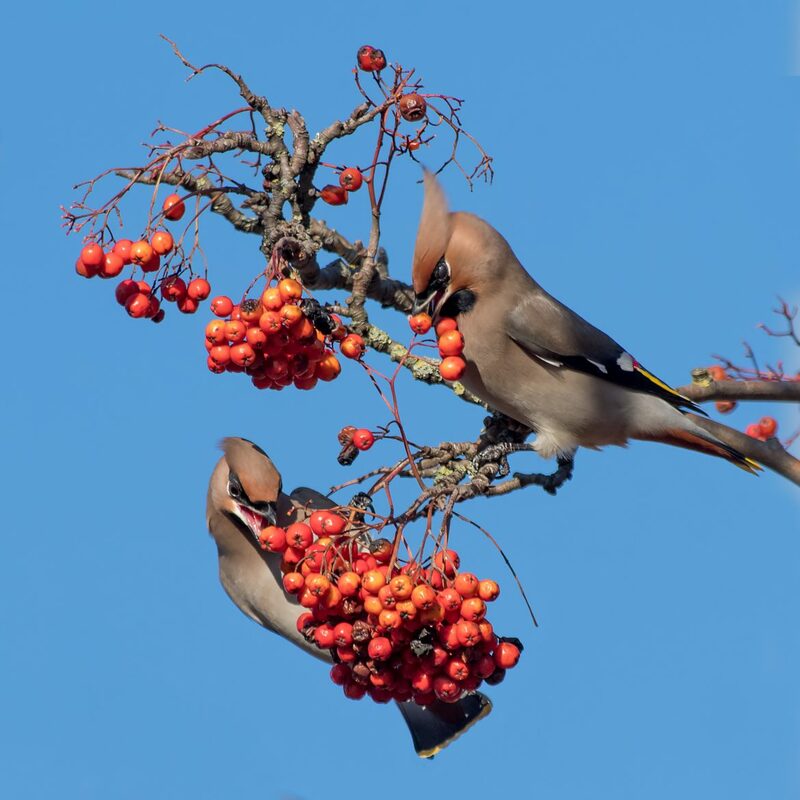 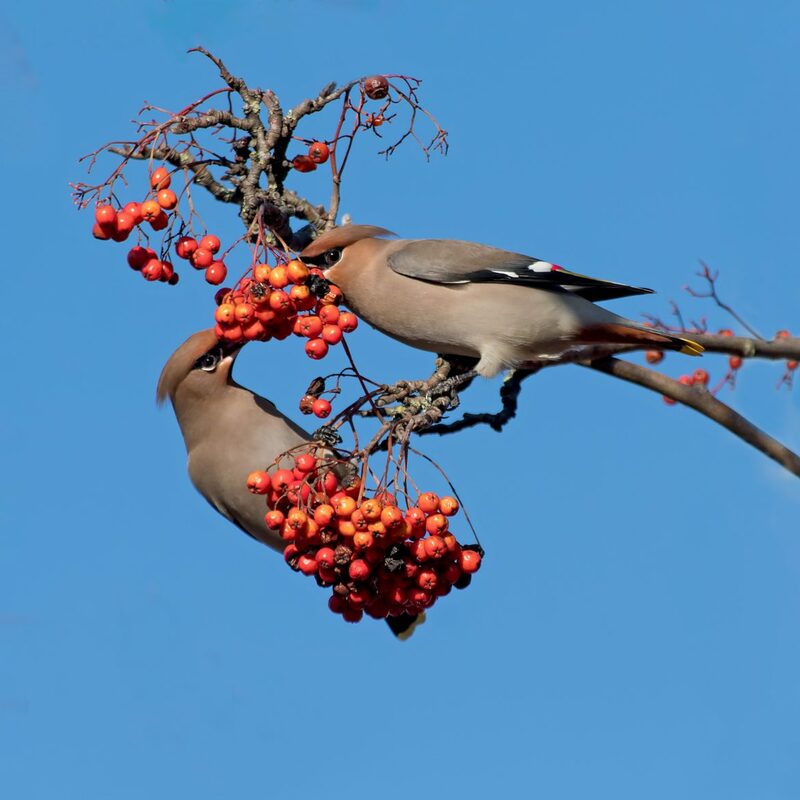 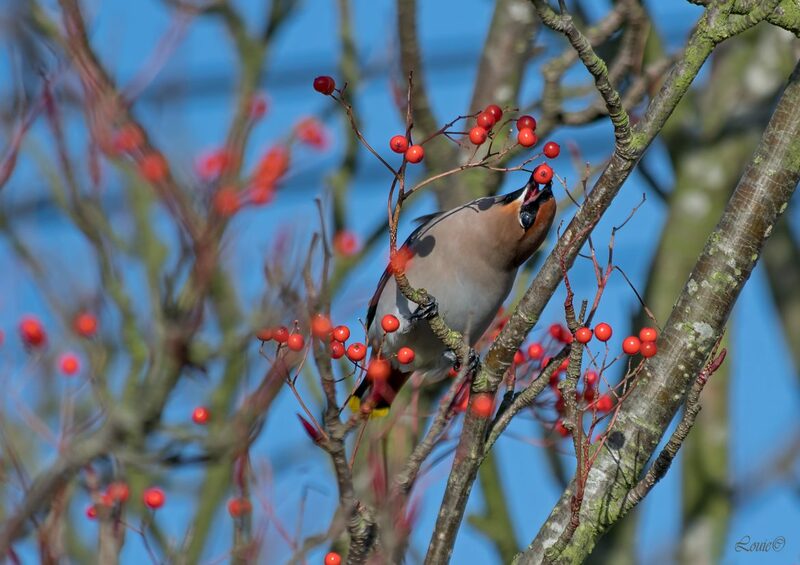 Waxwing (disambiguation) The waxwings are passerine birds classified in the genus Bombycilla. 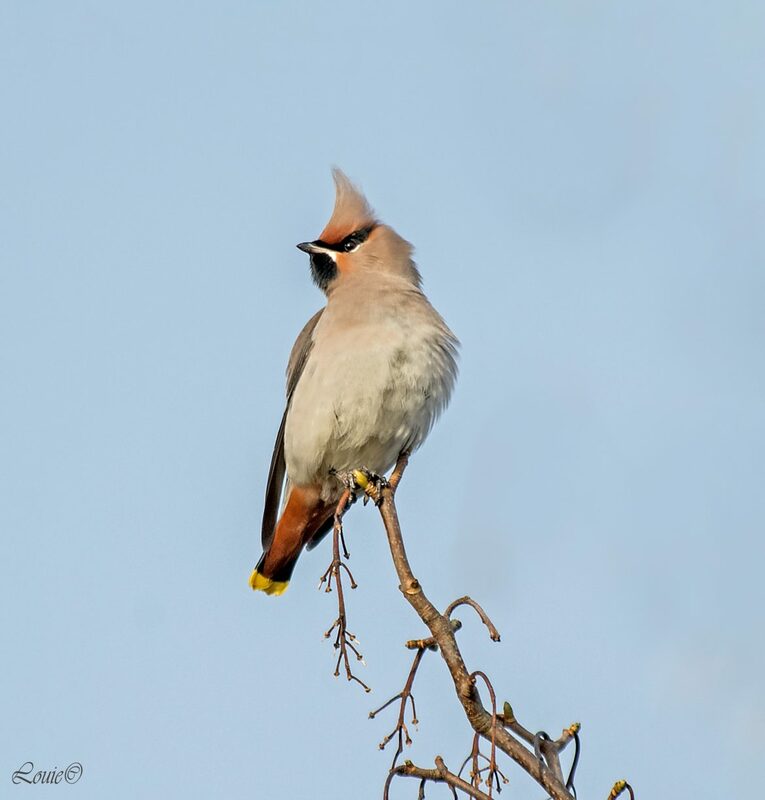 They are brown and pale grey with silky plumage, a black and white eyestripe, a crest, a square-cut tail and pointed wings. 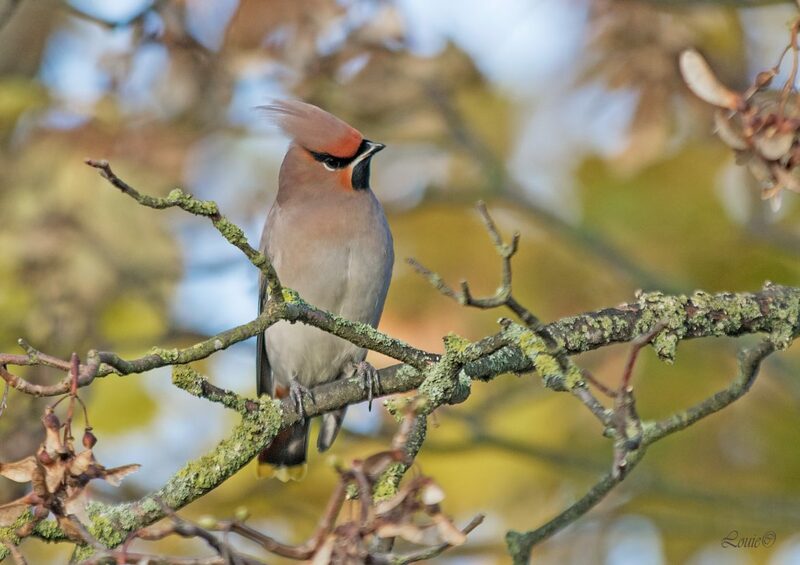 Some of the wing feathers have red tips, the resemblance of which to sealing wax gives these birds their common name. 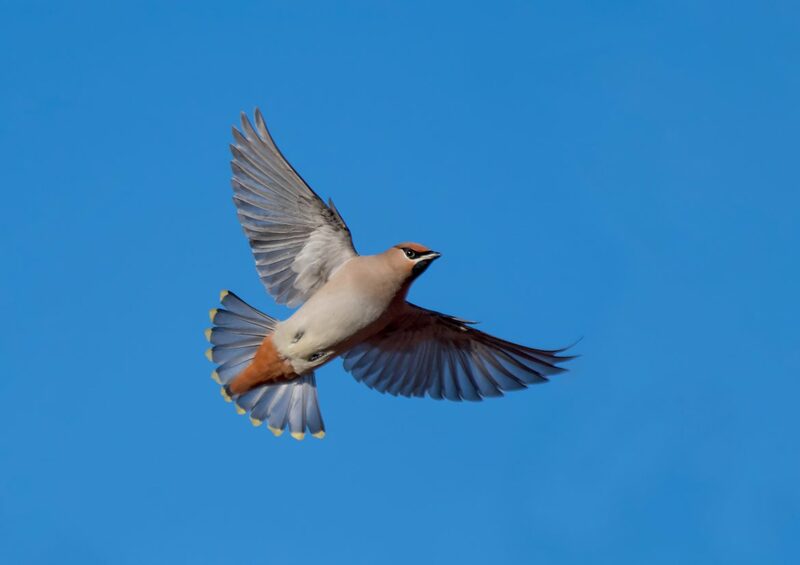 According to most authorities, this is the only genus placed in the family Bombycillidae, although Phainoptila is sometimes included. 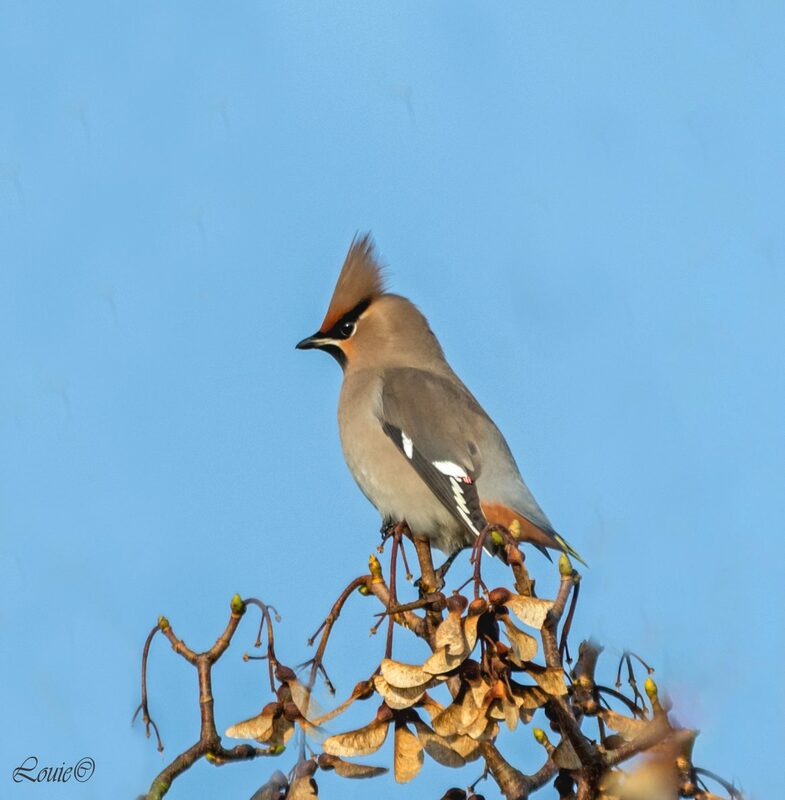 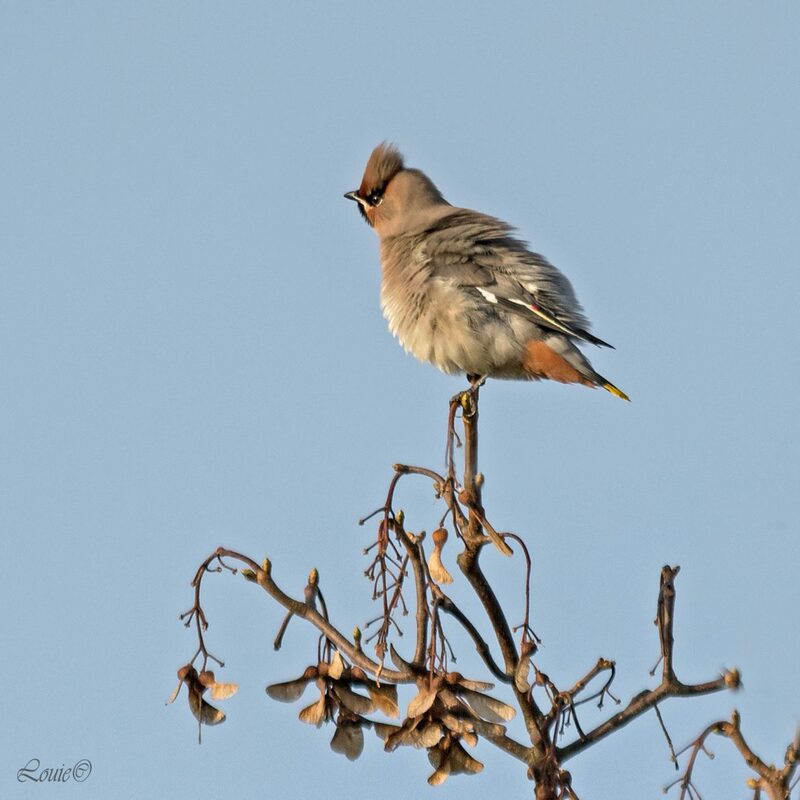 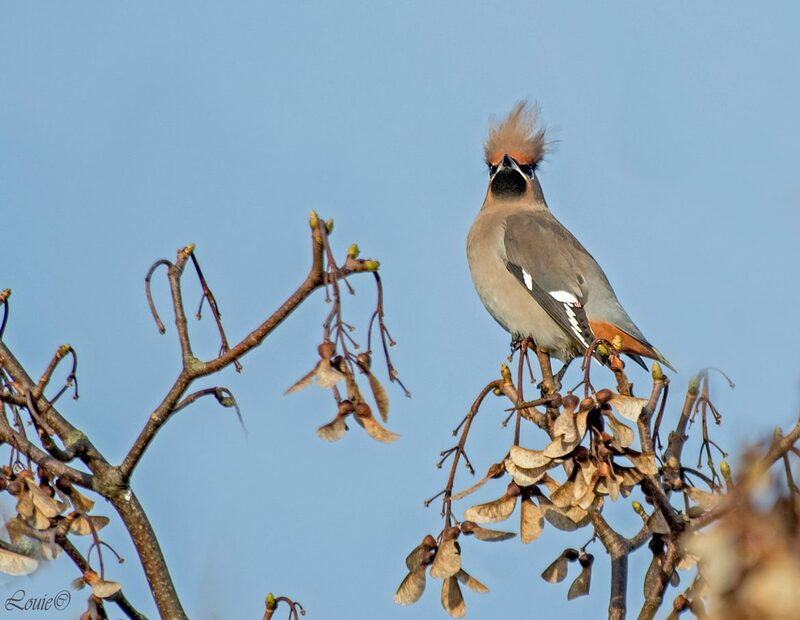 There are three species, the Bohemian waxwing (B. garrulus), the Japanese waxwing (B. japonica) and the cedar waxwing (B. cedrorum). 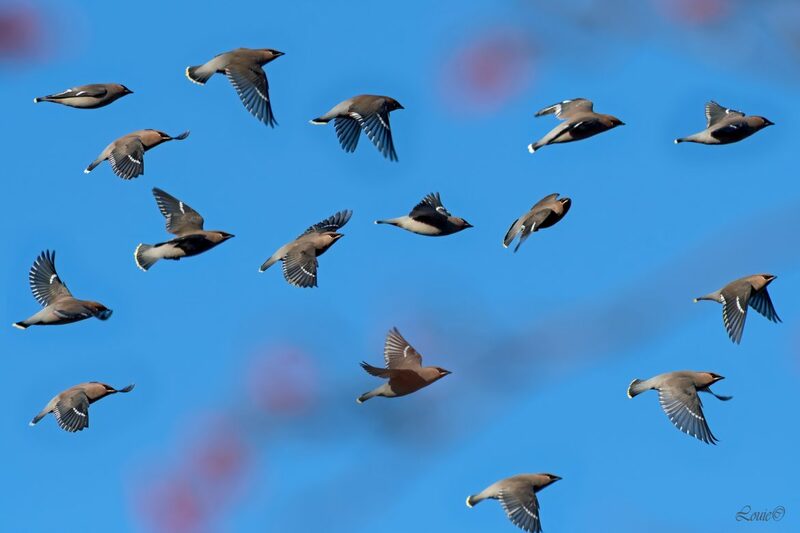 It was like being in an air raid, someone would shout Incoming and everybody panicked and scrambled to get their targets in their view finders, brilliant day.